This week I want to introduce you to one of the top food stylists in the country, William Smith. William originally is from the West Coast, but he has worked extensively in New York and everywhere in between….sometimes he even finds himself in the Windy City working his magic. This recipe is an all time favorite at his house when guests come over to share a home cooked Sunday supper. He serves these lovely green spears as an appetizer or as a side dish. Just look at how beautiful they are right out of the oven! AND it’s so easy to make! When I prepared this recipe, I was not only impressed by how easy it was to make but equally impressed with the rave reviews when I served it. 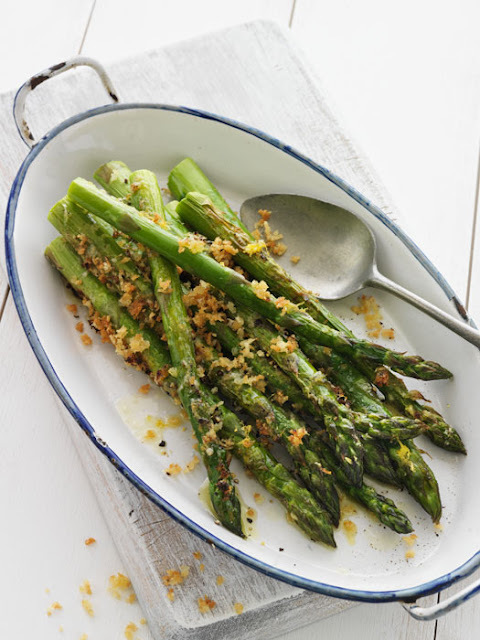 I think that you’ll enjoy this preparation for the tender, fresh asparagus that are in season right now.Wouldn’t this Sunday be a good time for you to invite a few friends/family over to enjoy great conversation and good food? 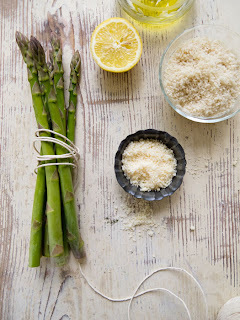 I’m so very grateful to William because he not only gave me this great recipe to share but also helped make some of my spring posts a bit more beautiful by styling the food. Thank you, William! If you would like to take a peek at more of William’s beautiful food styling, please check out www.wsfoodstyle.com. Turn oven to Broil. Wash and trim asparagus. Place asparagus in oven safe cooking pan. Sprinkle olive oil over asparagus making sure that the asparagus are evenly coated. Then sprinkle asparagus evenly with lemon zest, grated parmesan cheese, panko or bread crumbs, salt and pepper.Place under broiler for 5- 10 minutes depending on thickness of asparagus and distance from broiler till golden brown. (I used the middle oven rack for 10 minutes). Looks great Susie! 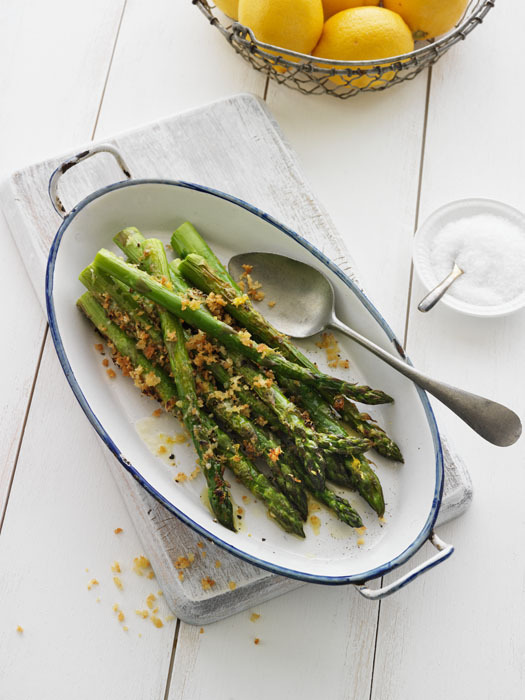 I love Asparagus, and this side dish is so easy to prepare! Just beautiful! Have a peaceful Sunday! I was obviously a little put off by way of a system of “tests” I could take, each costing me $5, which would cause me to eligible for further “assignments. Make sure that all sentences that stick to offer the major position or restrict its scope. sorry but WHAT is “blog”(above) on about? Tried tonight and it is a simple and tasty recipe.